While on the way to do some shopping we discovered the Madeleine Patisserie on 23rd Street. Their display looked attractive enough to made us walk in to investigate. Place it bigger than it looks from the outside. Up front is where you drool over the display, order your food, coffee, etc. then pay. 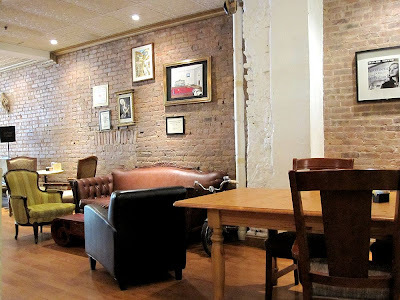 In the back there is a large seating area with comfortable arm chairs, couches, communal table and more. It must be so comfortable that there were signs all over the place about not having any business business during the work week. I could see coming in here for a coffee and a macaron then staying for few hours relaxing. In the back of the seating area there is a very large kitchen, too large for this type of operation but looked nice and clean through the glass doors. 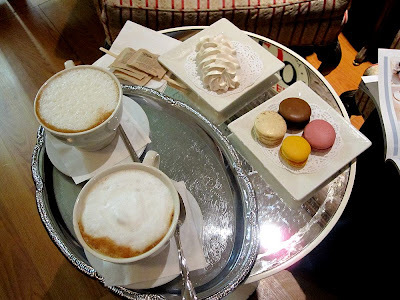 Anyway we ordered four macarons, two large cappuccinos and a plain meringue to share, they also had a coconut one but plain looked much better. 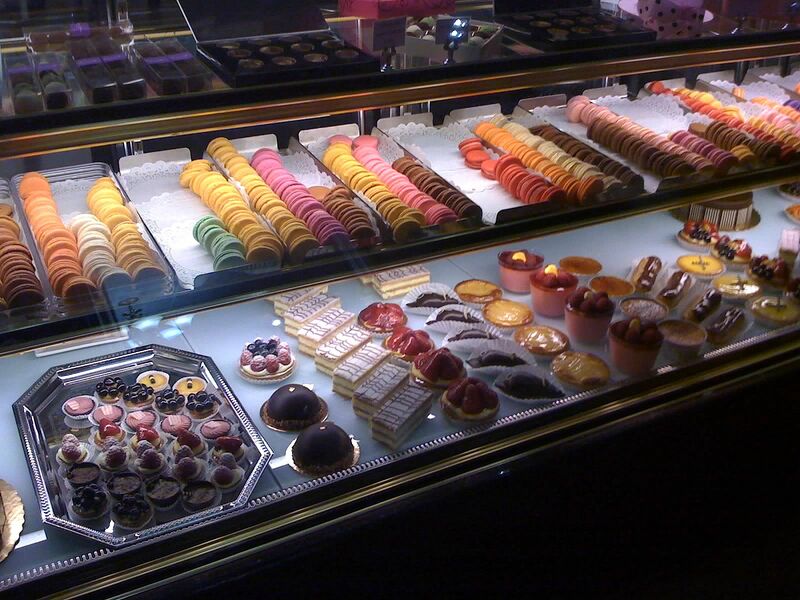 They offer a really exotic selection of macaroons. Looked like their selection changed frequently because there was the daily menu. It had some options like the Champagne-Apricot, Passion Fruit, Vanilla, Chocolate, Violet Lavender, Pistachio, Caramel and more... They vary in sizes some are larger then others, not sure why. They were nice and fresh and really tasty.